NEW!! 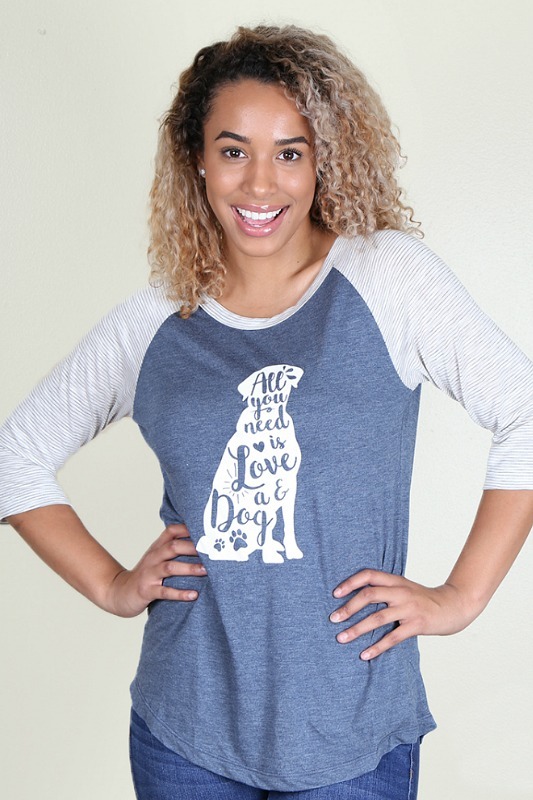 This darling top says it all: All You Need Is Love and a Dog. 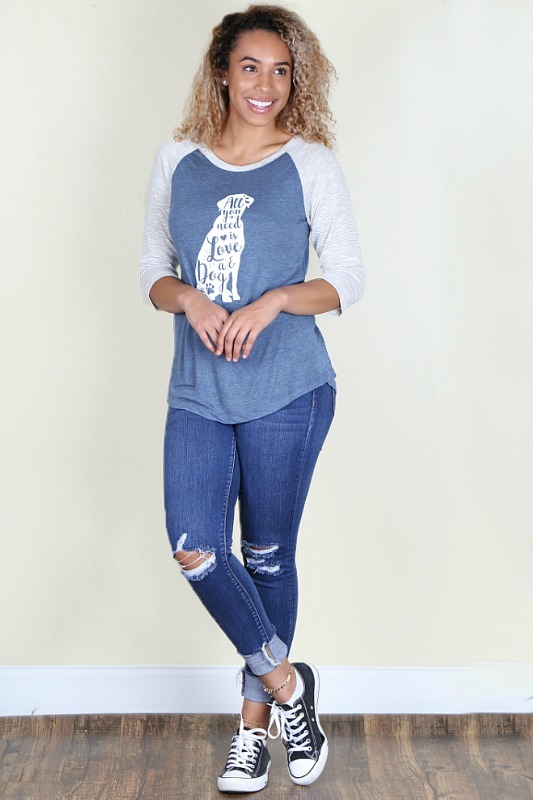 Light blue raglan with striped sleeves and the cutest graphic, perfect for a casual day out. 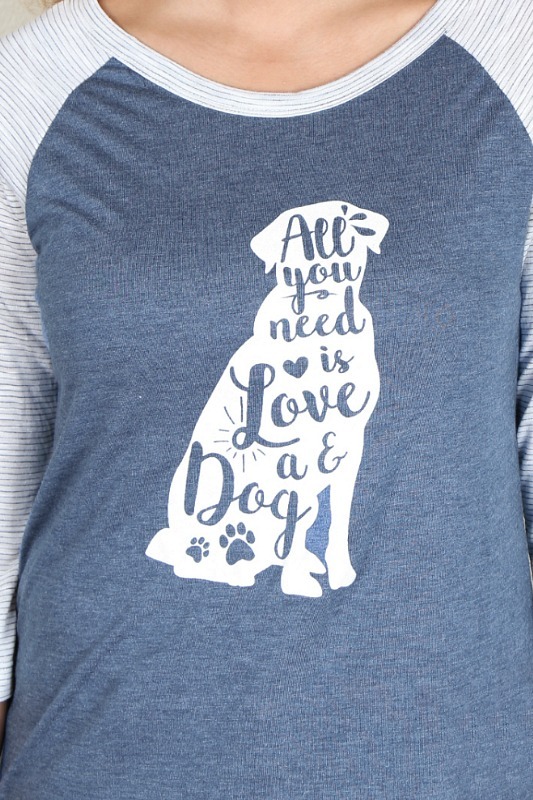 This comfortable t-shirt is a cotton-poly-spandex blend, super soft to the touch and easy to style with a pair of blue or white jeans. Fit: True to size, not fitted.